2. Hiking and biking around the area are two great ways to really soak in the desert and see the area. Camelback Mountain, a prominent landmark in Phoenix, summits 2,704 feet above sea level, offers several great hikes – and views. 4. 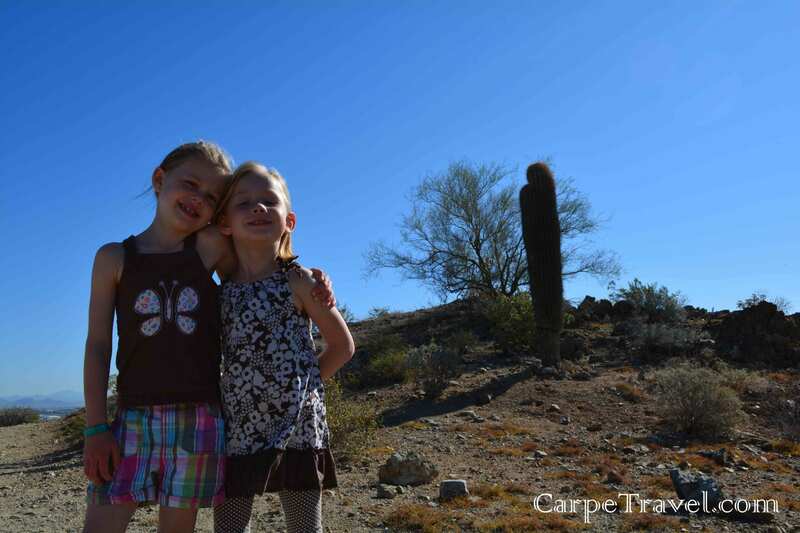 At the Pueblo Grand Museum you can do a short 2/3 mile hike with the kids that takes you through a prehistoric Hohokam archaeological village site with a partially excavated platform mound, ballcourt, and replicated prehistoric houses. There are also three galleries to visit while at the Museum. The main gallery displays artifacts of the Hohokam and discusses the Pueblo Grande village site. The children’s hands-on gallery has activities to help kids learn about the science of archaeology. 5. 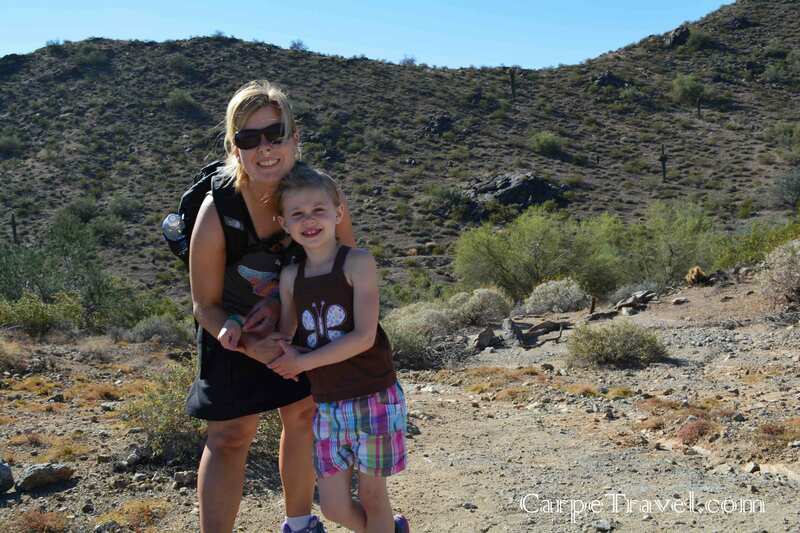 The Usery Mountain Regional Park offers kiddie hikes through their nature center. ?It is located on the Valley’s east side, taking in 3,648 acres set at the western end of the Goldfield Mountains, adjacent to the Tonto National Forest. Along the most popular feature of the park, the Wind Cave Trail, water seeps from the roof of the alcove to support hanging gardens of Rock Daisy. The Wind Cave is formed at the boundary between the volcanic tuff and granite on Pass Mountain. 6. 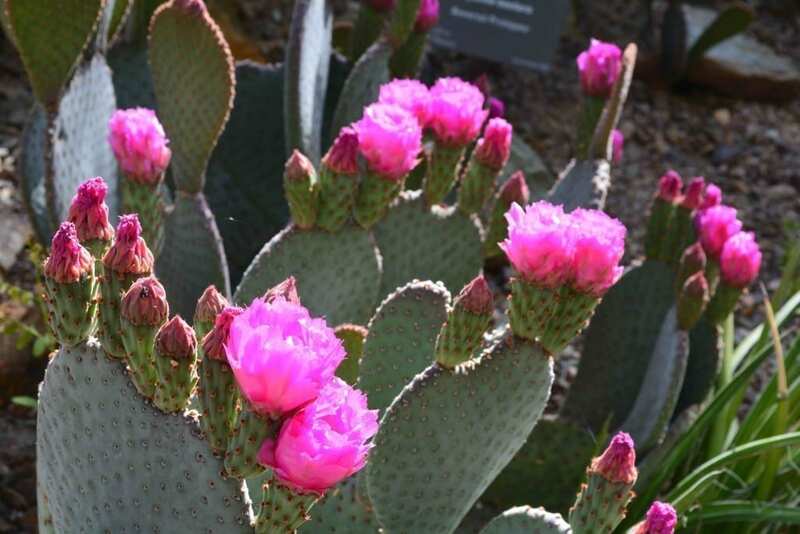 The Desert Botanical Garden is a must see if you’re visiting Phoenix, it’s home to 140 acres with 21,000 plants, one-third of which are native to the area, including 139 rare. It’s a very unique way to experience the beauty of the desert (and escape to air-conditioning if needed). I suggest you visit in the early evening hours or first thing in the morning. Many of the cacti have flowers that bloom in the cooler hours and they are a sight to see. I never knew the desert could be so colorful! 7. Right outside of Phoenix you can experience the Wild West with a visit to the historic Goldfield Ghost Town – touring an old gold mine, panning for gold, shopping along the main street and witnessing gun fights. 9. Phoenix is a sports fan heaven, you can literally catch a game anytime of the year. How? Phoenix is one of 13 US cities with franchise in all four major sports leagues: Phoenix Suns (NBA), Arizona Diamondbacks (MLB), Arizona Cardinals (NFL) and Arizona Coyotes (NHL). 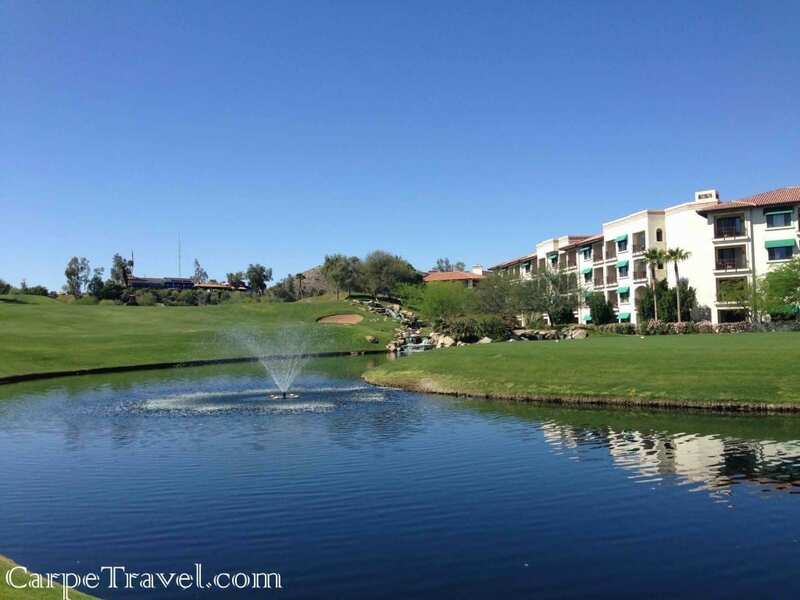 What is your favorite golf course in Phoenix? 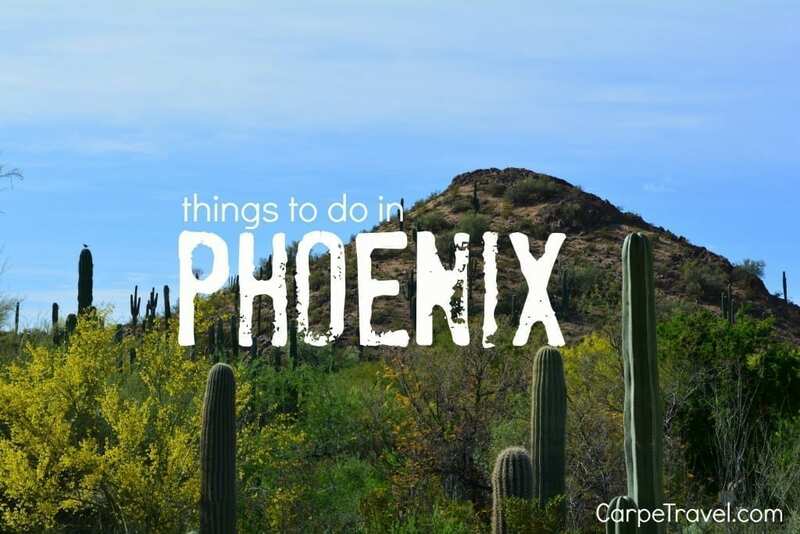 What are your favorite things to do in Phoenix? I remember taking my parents to Phoenix a few years ago for my dad’s birthday gift. He spent the entire time playing golf (he’s a golf nut). Luckily the trails were so pretty the rest of us didn’t miss him. I am going up to Phoenix was a weekend to visit a cousin. They told me that there are some of the best mountain bike areas there. The article pretty much validated and now I am way excited to check it out. Excellent! I hope you’re able to get in some good rides. Go early though, it gets hot this time of year. I am heading to Phoenix around the 4th of July. I will be sure to check out some of the hikes you mentioned. I love learning about plants and wildlife, so I will be sure to get a guide to give me a tour. Since I will be there over the 4th, do you know of any shows or events that are taking place then? Excellent! Let me know what you think about the hikes. As for events, I don’t know. I haven’t been there for the 4ht but it sounds fun! I suggest checking the Visit Phoenix listings for an idea: http://www.visitphoenix.com/events/index.aspx Cheers and enjoy the holiday! This post is so awesome. 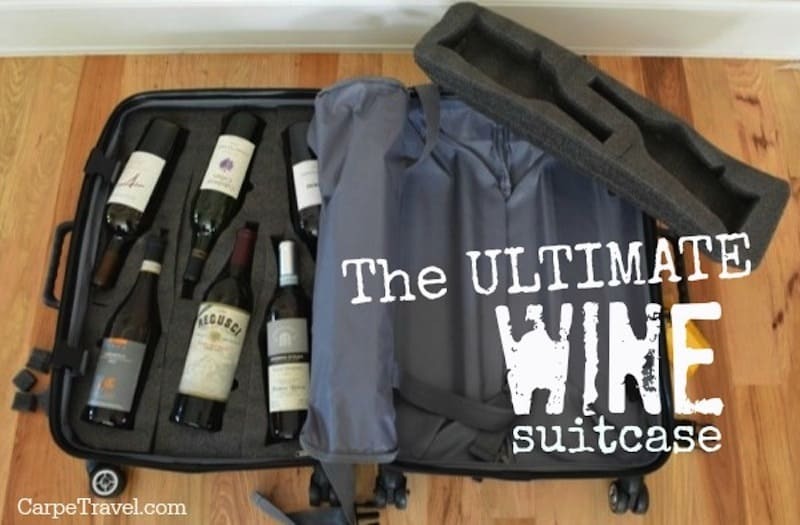 It’s exactly what I’m looking for before going to Phoenix to travel. Thank you so much for your shares! Glad you found it useful. Enjoy Phoenix!